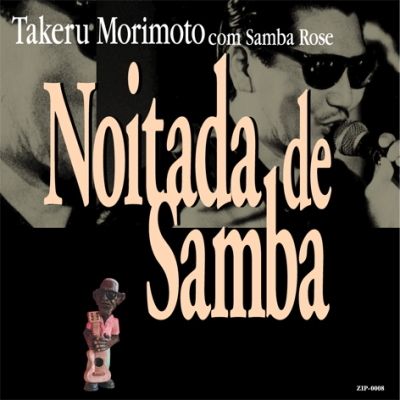 Morimoto Takeru - one of the rare breed of Japanese samba singers - first visited Brazil in 1977. During his one-year stay, he was blown away by the live shows of legendary musicians such as Cartola and Nelson Cavaquinho. Returning to Japan he became passionate about transplanting this great music to his own country. Morimoto formed a backing band, Samba Rose, and played a live show at Aoyama Tower Hall in 1982. A few days later the same musicians gathered again, this time in the studio to make a private album commemorating the live show. This recording, somehow long forgotten, was rediscovered in 2003, finally seeing the light of day after 21 years. This fantastic work not only brings out Morimoto's pure passion for samba but is also a valuable document of the incunabula of the Japanese samba scene. It contains 11 songs - mainly covers of Cartola whose signature style was a mellow, rather than brash, samba in medium to slow tempos.